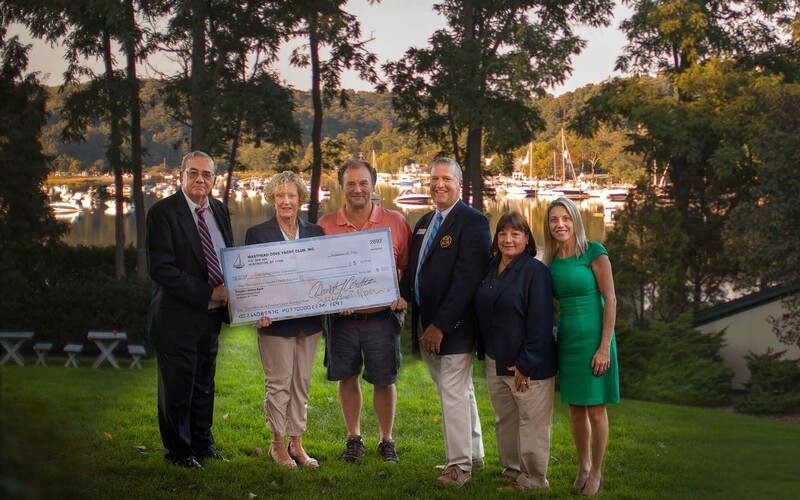 Cold Spring Harbor, NY — Members of the Masthead Cove Yacht Club (MCYC) raised $9,500 from their annual Masthead Race on August 17. The proceeds were donated to support cancer research conducted by CSHL Professor Nicholas Tonks. The event, held at the Wyncote Yacht Club in Huntington, has raised over $50,000 since it was started in 2006 in memory of the MCYC’s former Commodore, Carol Marcincuk. Carol was an avid sailor and a beloved employee of CSHL who died of ovarian cancer in 2004.